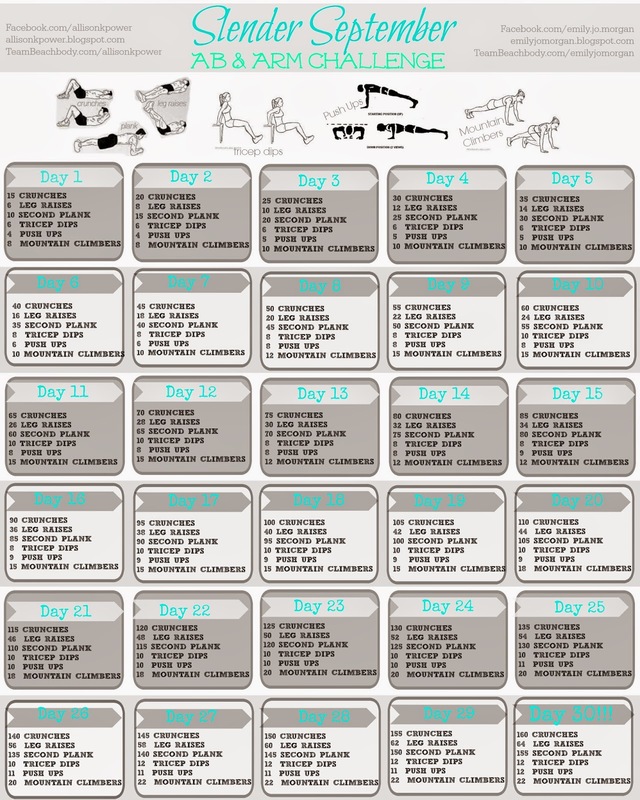 a power full journey: Slender September *FREE* 30 Day Arm & Ab Challenge!! Slender September *FREE* 30 Day Arm & Ab Challenge!! I am SO EXCITED for a first FREE 30 Day Fitness Challenge that I put together with my friend, and fellow Beachbody coach, Emily! All you have to do is RSVP and accept the event invite on Facebook and join in on the fun!! Daily posts with motivation, healthy lifestyle and food tips, fitness tips and much more -- that is all just a preview of what our private accountability groups offer!! And then get up and start moving!! If you would like more information on my private accountability groups, please do not hesitate to send me a message on Facebook or email me!